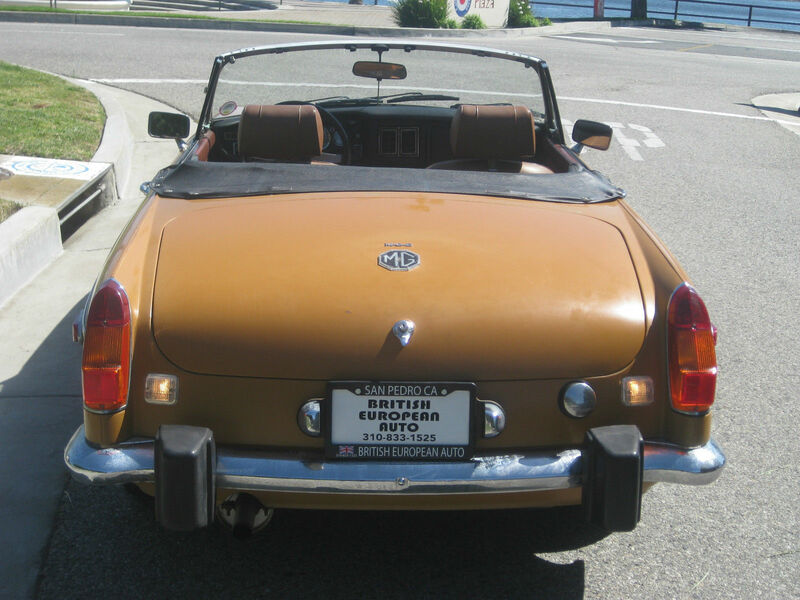 For your consideration, we have a 1974 matching numbers, unmolested, MGB Roadster still in its original harvest gold paint. A currently registered and titled California car with original mileage. 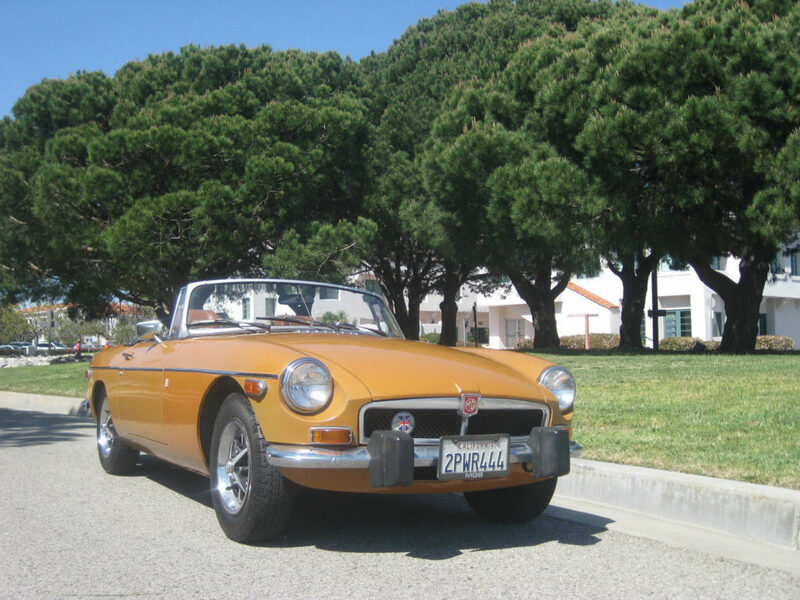 Purchased by the current owner from Long Beach, CA back in 1997, this MGB has sat covered, sparingly driven, in a California driveway for the past 20 years. The exterior is original in color, and in very nice condition considering its age. The chrome trim set is complete and has good shine to it. The fit and gap all around is excellent. The doors all open and shut very nicely and the glass is clear and not cracked. The seals are old and cracking and could definitely be replaced for better curb appeal, and the chrome bumpers could also benefit from being re-chromed. The best part about the exterior and undercarriage of this car is that rust is not an issue. This car is complete and without rust as it is a true California car, and trust me that is worth its weight in…well, body panels. This B sits on four good wheels with MG crested caps and chrome trim rings, although the tires should be replaced before any serious driving is considered. 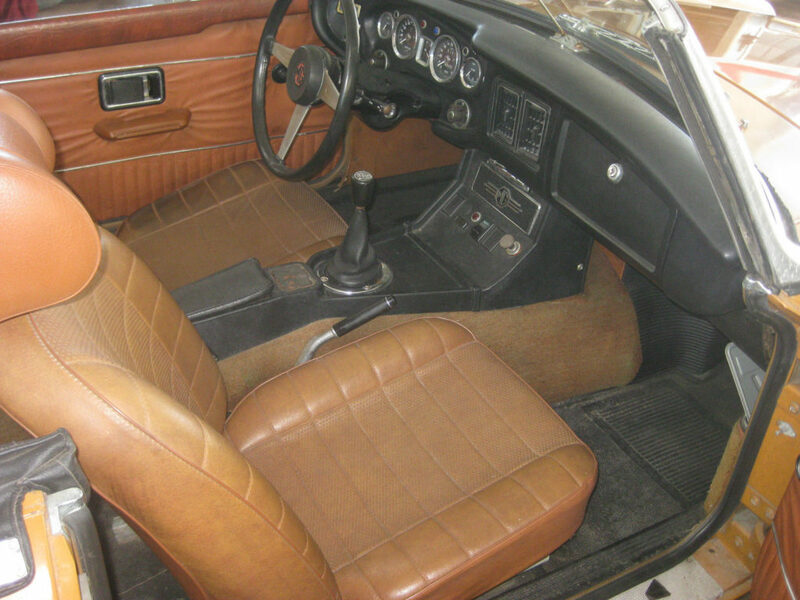 The interior is autumn leaf in color and original to the car, it is very presentable and comfortable to sit in. The dash is in good condition and is sporting a new dash cap which looks great. The interior electrical is all working at the moment. The horn, wipers, brake lights, sidelights, reverse lights, headlights (high beam only) all work. The indicators work if you hold them in place, but do not self-cancel. There currently is no radio but surely one can be fitted. The key buzzer and interior light work very well. The trunk space is tidy and complete with a spare tire, tool roll, and jack. From cold this roadster starts up with the pull of the choke which works like it should. The engine sounds healthy without any unwanted noises, shows good oil pressure and it does not overheat. The speedo and tach both seem to read accurately. The steering is tight and responsive, and the gearbox feels really good, and easily and smoothly shifts in and out from gear to gear. The brakes feel great as it has had a new master cylinder installed recently. The pedal feels good and upon braking it pulls up straight. This MG has recently had its spark plugs, set points, upper and lower radiator hoses, fuel pump, and needle valves in the carburetors replaced. The valves have been adjusted, and the valve cover has been resealed with a new gasket. It has a new upgraded flasher unit, new side light bulbs, and a new license plate lens. Overall this MGB is an excellent driver with plenty of potential. A very original, rust free, survivor that hasn’t been modified and molested is becoming harder and harder to find, so bid to win this MGB roadster that will surely put a smile on your face and turn heads driving around the town. As always, I would advise inspecting the car in person if at all possible. Please call for an appointment or with any questions you may have, (310)833-1525 Monday-Friday 7am to 5pm Pacific time.